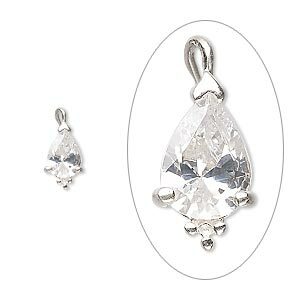 Drop, sterling silver and cubic zirconia, clear, 8x5mm pear. Sold individually. 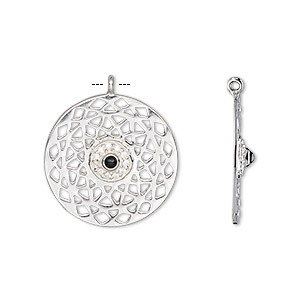 Item Number: H20-A8110FN Have a question about this item? 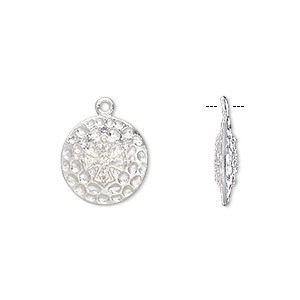 This sterling silver drop features a beautiful, clear cubic zirconia. Drop has an open loop to easily attach to chain for a quick necklace or earring design. 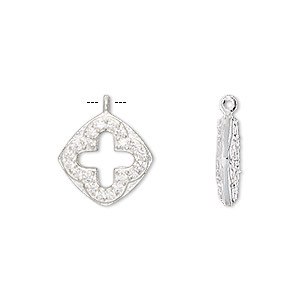 Drop, sterling silver and cubic zirconia, clear, 12x7mm teardrop. Sold individually. 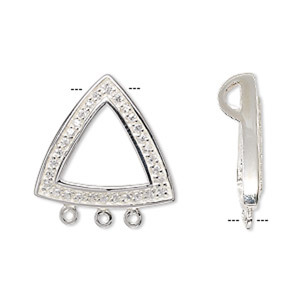 Drop, sterling silver and cubic zirconia, clear, 20x20x20mm open triangle with 3 loops. Sold individually. 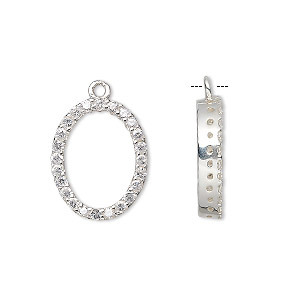 Drop, sterling silver and cubic zirconia, clear, 21x14mm open oval. Sold individually. 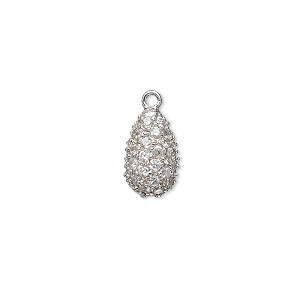 Drop, cubic zirconia and sterling silver, aqua blue and clear, 12x6mm faceted pear. Sold individually.